Our vision is to become the premier gaming event where fans, parents, and first-time attendees can share and experience our passion for gaming. We hope to inspire and educate the next generation of gaming professionals and their families through exciting and engaging events — events which highlight multiple aspects of the industry through practical and real-life applications. The video game industry isn’t just about playing games. Organizations from all backgrounds are entering the scene; software companies, nonprofits, hardware manufacturers, and more. At OverPowered Live, we are bringing a variety of different partners and organizations together to show attendees that there are opportunities for higher education and career paths available which incorporate their passion for gaming. Come check it out! Pros put in thousands of hours to get to a level of play that pushes the game and their physical self. These dedicated individuals are invited to display their skills, interact with fans, and share their stories. 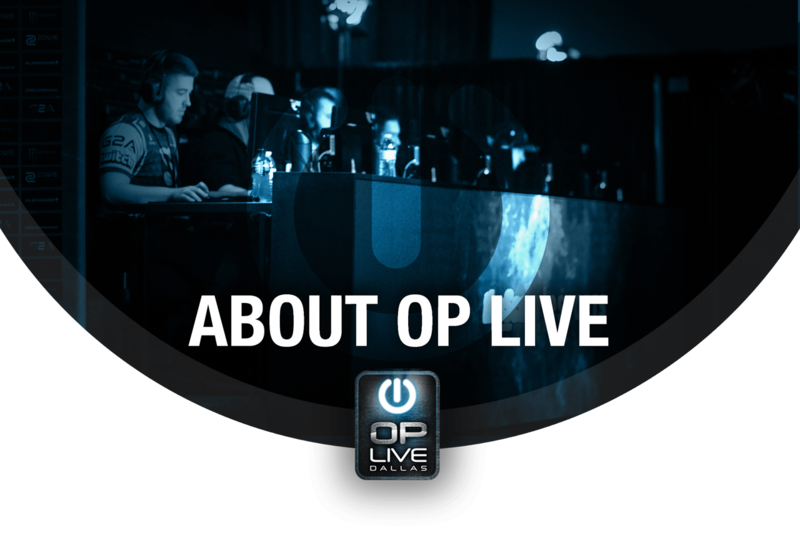 College students who aspire to become professionals get an opportunity to test their skills amongst their peers and claim the title of OP Live Dallas Champ. We want to give you a chance to prove that you’re the next big up-and-coming esports star. In partnership with SMU Guildhall, the number one video game development school in the world, we will show attendees how students are producing incredible video games and building their portfolio to go on to create the next triple A titles. Come and see the hottest games of 2018 and beyond being made right in front of you!